This is in no way, shape, or form a complete or comprehensive list of all the skate shops across America (yet). We’re working on it; we’ll get there; but it’ll take some time. Please be patient while we call, vet, and add shops to this list. Above, you can see our progress in tracking down shops across the country for our database. 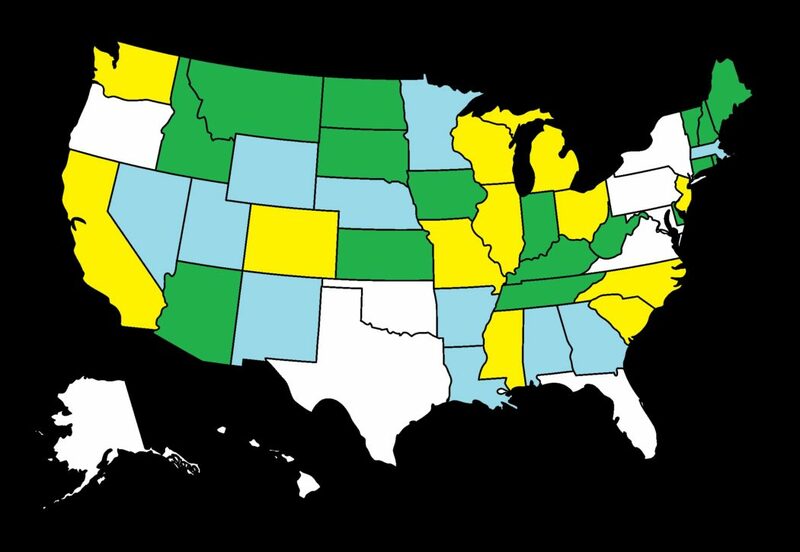 The states in green are done; states in yellow are partially done; and states in blue are on deck. We hope to have the continental 48 states done by December 2018. This list only includes independently owned, core, brick-and-mortar skate shops. There are no corporate-owned (ie, Zumiez) skate shops on this list. Skaters, please: support independent retailers. Help the people that help build your local skate scenes, help you. Shops: if you want your shop added to this list, simply e-mail Bud Stratford at budstratford@aol.com. Thanks…! Burning Spider Stoke Company, LLC.